Painless ordering, superior quality and flawless craftsmanship. Nothing even comes close to our drawers. All drawers are made using the finest solid hardwoods and european plywoods. 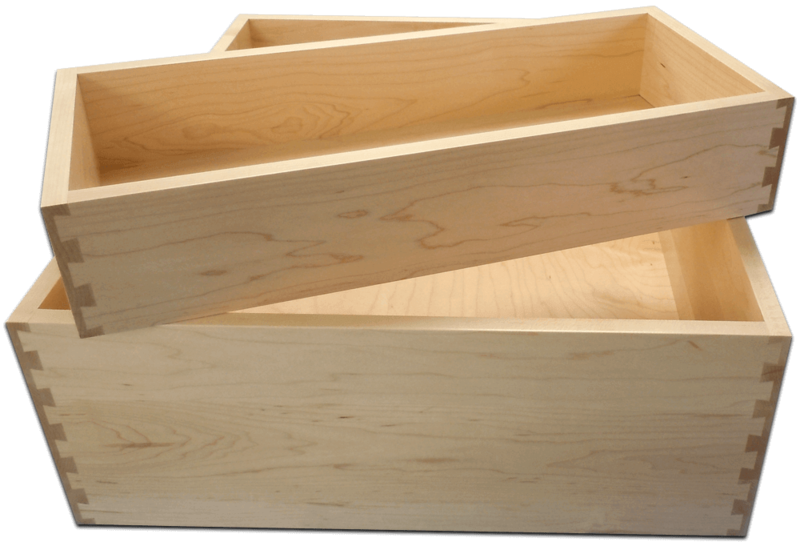 We have the right tools to create the perfect sized and shaped drawer that you need. Our drawers can be ordered assembled and clear-coat finished so they are ready to install the second you receive them. Our express lead time can be as little as 24 hours. You'll always get your drawers on time. We provide shipping solutions to anywhere in the United States. Delivery also available in Connecticut. Create an account and try us out.